Morro Bay, CA– It’s called dual citizenship. 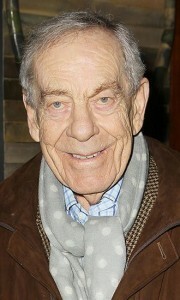 Morley Safer of Sixty Minutes had it–in the U.S. and Canada where he was born. Thousands of Americans are also citizens of another country. Lots of folks don’t know a thing about that fantastic privilege. It’s wonderful – well, you would think so. You can live in either country, with all the rights and privileges thereof, quite numerous. You can move back and forth between them with little fuss. If there is a big crisis in the country you’re in, you can take off to be safe in your other country. Of course, you can vacation in the other country as often as you like, with much easier treatment getting through airport security. If you are an international businessman, you can use whichever of your two passports will get you into a third country more easily, whether you’re going to China or Bolivia or Egypt or Singapore, say. And maybe no need to purchase the necessary visas, which is so time-consuming and often so expensive. Years ago I was friends with a Greek couple, Nicolas and Maria, naturalized Americans both. They ran a pizza restaurant. When they retired, they flew back to Greece for good. Bought a house in their home town. And became rich people—all possible by the Social Security check that Uncle Sam mailed to them every month. Of course, it’s a two-sided coin. You also have all the obligations. You are supposed to vote. Pay taxes. Serve your country in time of war. And so on. Think about it – you have these responsibilities in two countries! It can create special problems. This comes to mind: Could Morley Safer report objectively on some great conflict between our country and Canada for millions of viewers of Sixty Minutes? “Objectivity” is all important to journalists. Their 11th Commandment! Like so many other noble aspirations, it’s tough to achieve. Some say impossible – we do the best we can. In respecting that principle, you would think that Morley Safer would have had to decline such an assignment. Dual citizenship has popped into my mind again because I read about his dual citizenship in his obituary. That obit was the first thing I read. Like millions of others, I loved hearing his reports on Sixty Minutes. Of the show’s other stars’, too. As some of you know, I live in Deep River, Connecticut, half the year. He lived half-time or so in Chester (also inNew York City), just 3 miles and 20 minutes north of me. In little Chester, he blended right in – no pretensions, no big to-do. I would have loved to bump into him in our one supermarket (Chester does not have one). By all accounts he was a wonderful human being. An admirable gentleman. I’ve known other dual citizens. Here in Morro Bay I have a friend who was born in Ireland, moved here in early adulthood, and became a naturalized American while retaining his Irish citizenship. He has a son who for a while, incredibly, had Chilean, Irish, and US citizenship! Three! Gave up one. I have a nephew who has had dual citizenship, here and in France. l’ll call him Pierre. That’s not his name. I am protecting his privacy. He’s the son of a sister of mine, nameless for the same reason. Her husband was Jean-Paul, again an alias. Jean-Paul was born in France, worked here on a Green Card as a high-level executive, did not want to become American. He was proud his son, born in the U.S., was also a French citizen. That’s easy to understand. Over the years the three of them went to France just about every year, to visit Jean-Paul’s relatives and to vacation. Pierre grew up here, went to school here all through university. He grew up speaking both English and French. Yes, Pierre enjoyed all the privileges of being French. His American friends thought that was cool. So did he. Hey, more than once I noticed that my kids, his cousins, envied him. Who wouldn’t? Well, at age 18 Pierre got called up to do his compulsory service in the French Army. No way! He surrendered his French citizenship and that was that. Now you may find what I’m going to say shocking. But here goes. I believe that dual citizenship is unreasonable, illogical, crazy. Why? Because it splits your loyalty. For sure you find yourself preferring one country to the other. That’s natural, inevitable. Which one will you choose if you ever have to? You remember our Pledge of Allegiance? “I pledge allegiance to the flag of the United States of America….” Not to TWO flags! I believe the whole concept should be flushed down the drain. You should make up your mind and choose ONE country once and for all. And live with that. Go to the other country the way any other American would. As a tourist. Rejoice you can do that. But I know emotions get in the way. For one thing, in giving up your second country, you risk bruising the feelings of your relatives and friends over there. I’ll bet Jean-Paul didn’t smile and pat his son when he announced his bold decision. Know what? Thinking about citizenship, I am all for the United Nations. And for the European Union! Both are imperfect for sure, as we have found out, but what a huge, momentous step in the right direction they have been. Those united Europeans now have so much more freedom and ease in moving around their section of the world. And for sure it has broadened their thinking. In fact, I’m rooting for One World. Yes, I am. Why? Because then I would be a citizen of One World. Hallelujah! And so would you, and so would every single one of us on our planet. Think of the incredible advantages. Of course there are great difficulties. Building a One World language would be one. “Survival of the fittest!” That applies to languages also. We now have hundreds of languages. Five or six are the leading ones. Eventually the fittest would become the language of One World. My bet is that it will be English or Chinese (Mandarin) or Spanish. When One World happens, the unique citizenship that all of us are presently tagged with at birth will be dead, passé, to be recalled only in history books. We won’t be Americans, Turks, Brazilians, Vietnamese, Kenyans, and so on. We’ll be One Worlders. No passport necessary for any of us to travel anywhere on it. Every country will become a state. All those details will get worked out. I know you think I’m cuckoo. You’re wondering what I’m smoking these days. My thinking sounds so incredibly far-fetched. Well, so was the idea that the earth is circling the sun, and not vice versa as had been thought for eons. And that the earth is round, and not flat, as mariners for centuries swore to heaven it was. Hey, speaking of peering into the future: we’re beginning to see proof that there’s at least one other planet out there with life on it! What incredible headlines that discovery will make! Let’s hope those folks are friendly. We could make them honorary One Worlders. P.S. – If you feel I’ve erred in some way in my views about dual citizenship, please let me know.